WHAT IS INCLUDED IN MY LOCAL NIGHTLIFE ADVENTURE? 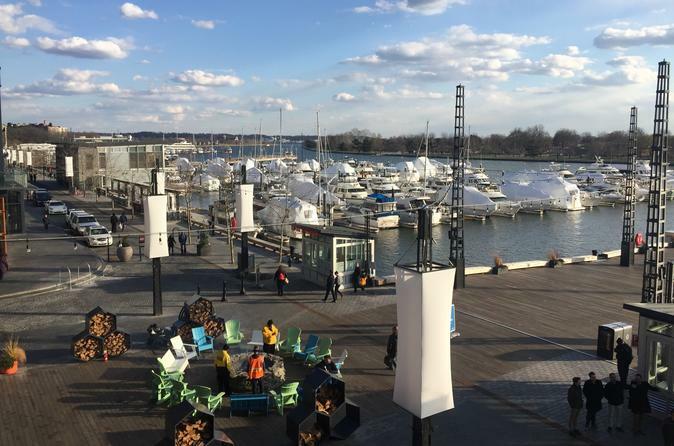 Experience the high energy DC Wharf nightlife like the locals! In the 2-3 hour Drink Excursion your group will tour from one bar to another with a friendly local guide offering an all-inclusive private mixology session, stunning patio views and amazing cocktails. We begin our night at the absolute best casual bar on the DC Waterfront where we sip on delicious Local cocktails, crafted by some of DC Waterfront’s most talented mixologists. From there a highly synchronized, sequence of bar hopping takes place. We hop into the DC Waterfront’s most popular Latin bar and sip drinks while overlooking the water before taking pictures. Hopefully by now the stresses of the day begin to fade. Next we stop into the most scenic bar on the Wharf for some spectacular views and drink by the fire, weather permitting. From there it’s completely up to you if you wan’t to party with your friends or get back to your hotel and catch some sleep for a busy but adventurous day that lies ahead. However, we will of course encourage our guests to stay together and drink & dance, ’til the break of dawn!’.